Tom would become the youngest driver in the history of the BTCC when he joined the Production Class of the 2001 series with his family-run Tom Boardman Racing team. Tom entered the 2004 SEAT Cupra Challenge with backing from his father’s Special Tuning operation and Exchange and Mart. He would score a podium result first time out and a win at the second meeting. He was always up against it as many of the drivers were in their second season in the championship but he managed to stay in with a shout of championship victory right up to the final meeting of the year when a ‘do or die’ gamble on tyre choice saw him drop down to third position in the final standings. In 2004 Tom also completed Wales Rally GB in a Peugeot 206. 2005 saw a rule change in the championship allowing independent teams to enter cars and the Boardman family took the decision to reform the family team. It was an impressive return to competition with Tom taking the championship crown and a cheque for £100,000 which was the largest cash prize for winning any motor championship in the UK. With the regulations preventing Tom defending his title, a move to the Spanish SEAT Supacopa in 2006 saw him win the final two races to secure 3rd in the Championship. In 2007 he again contested the Spanish Supercopa and selected rounds of the UK SEAT Championship taking a couple of wins. In 2008 Tom contested the Spanish Supercopa championship again and won. His prize, 30,000 euro and a one off WTCC drive the following year. Along side this he also contested the Eurocup where he finished sixth overall, but won the race at Pau, France, which won him a one off drive in the WTCC in Estoril that same year. In 2010 Tom returned to the BTCC, running the S2000 SEAT with a normally aspirated engine. He gained an independent win at Rockingham. In 2011, Tom raced again in the BTCC but this time with a new NGTC spec engine in the S2000 SEAT. He registered his first outright BTCC win at Knockhill and had two other podium finishes in a season that demonstrated his true potential. 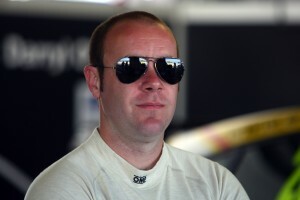 In 2012 Tom again returned to the WTCC. Initially he drove the SEAT 2.0 TDi, the only diesel powered car on the grid. The iconic diesel was driven for the last time by Tom at Salzburg before he took delivery of the new SEAT Sport developed 1.6 T engine and gearbox package at the Portugese round. With this in his hands he scored at every round for the remainder of the season and showed his and the cars true potential. For the 2013 season, Tom again had the WTCC Leon. After a promising start at Monza, Tom was involved in a large crash at Marrakesh after break failure caused by debris on the track. This wrote off the engine and a new car had to be built. The following rounds were marred by engine troubles with the new engine and the car had to be returned to the UK to be fixed. Tom came back though in the Asian rounds and scored points. In the final round in Macau he made the second qualification round and again finished the first race in the points. The season was to end with another crash though as he was hit by another car in what was a major pile up in the race. 2014 saw Tom take a year out as the WTCC changed to the new TC1 cars. TC2 was not seen as a good option. During that year he started to work with Mike Earle at Onyx on the TCR project with the Ford Focus. He would debut the car at Monza in 2015 scoring the Ford’s only TCR points with a ninth place finish. Now in 2018 Tom has secured a drive back in the BTCC in its 60th anniversary year. At the wheel of one of the popular MG6 cars, he is driving for AmD with Autoaid/RCIB Insurance Racing.